You can use the Law of Attraction and Manifestation (LOA) to boost your health and wellness. It's a form of energy healing--of working with the energy of your own thoughts to influence your health for the better. What Is the Law of Attraction and Manifestation? What is this Law? In a nutshell, it says that whatever you think about, or give your attention to, you attract to yourself. For example, if you place your thoughts on what's going right in your life, you'll attract more of the same. Conversely, if you spend most of your time dwelling on what's going wrong in your life, that's what you'll attract and perpetuate. This is nothing new--there's so much common wisdom that supports this! As the old saying goes, "Smile and the world smiles with you. Cry and you cry alone." In other words, when you focus on the positive--on joy--the universe helps you! Using the Law of Attraction for improving health and wellness makes a lot of sense. 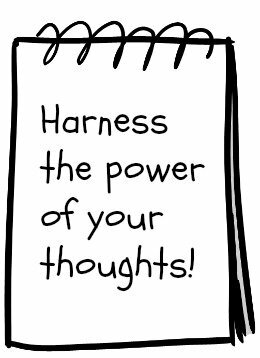 It harnesses the power of our thoughts to influence our lives. Since the power of the mind body connection is already well documented by science, using the Cosmic Law of Attraction to influence our physical health makes perfect sense. Click here to learn the 4 steps of using the Law of Attraction and Manifestation to support your health and wellness. Click here to read a real-life example of the LOA in action. 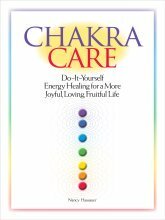 Click here for some ideas and cautions for using the LOA with serious health issues. Of course, with any health issue, it is important that you also seek and follow the advice of a qualified medical professional. Use approaches such as the Laws of Attraction as a complement to, not a substitute for, regular medical care. It's also important not to use the concepts of the Law in a negative way--to blame ourselves or others for illnesses. While illness and disease certainly represent an imbalance, the imbalance may have originated, for example, in one's environment, rather than in one's own thoughts and emotions. It's how we respond to these things that shapes and creates our lives. It's also important to remember that we cannot always see the larger purpose of any particular event in our lives. A man I once knew was one of the most joyful people I have ever met, despite being nearly completely paralyzed. He called the day of the stroke that left him that way his birthday, because he felt it was the beginning of his spiritual life. Always use these principles in positive ways!